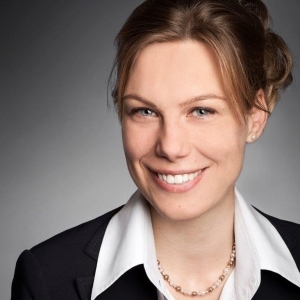 Andrea M. Herrmann is Assistant Professor at the Innovation Studies Group of Utrecht University. From 2010 to 2012, she was a Marie Curie Research Scholar at Columbia University (New York). She also was a postdoctoral research fellow at the Max-Planck-Institut für Gesellschaftsforschung (Cologne) from 2006 to 2008. She holds a PhD from the European University Institute (Florence) and an MSc from the London School of Economics (London). In her research, Dr. Herrmann studies institutional influences on new ventures and incumbent firms from a political-economic perspective. More concretely, her research interests comprise the areas of political economy, institutional theory, varieties of capitalism, entrepreneurship, corporate strategy, competitiveness, economic European integration, and innovation policy, as well as quantitative and qualitative research methodology. Her publications include various internationally peer-reviewed articles and a book (2008) entitled: One Political Economy, One Competitive Strategy? Oxford; Oxford University Press. Herrmann, Andrea M., Janne-Louise L. Taks and Ellen H.M. Moors (2012): “Beyond Regional Clusters: On the Importance of Geographical Proximity for R&D Collaborations in a Global Economy.” Industry and Innovation, Vol. 19 (No. 6): pp. 499-516. Herrmann, Andrea M. and Alexander Peine (2011): “When ‘National-Innovation-System’ meet ‘Varieties-of-Capitalism’ arguments on labour qualifications: On the skill types and scientific knowledge needed for radical and incremental product innovations.” Research Policy, Vol. 40 (No. 5): pp. 687-701. Herrmann, A. M. (2010). Towards a dynamic institutional theory of entrepreneurship. Brussels, Marie Curie research grant awarded by the Research Executive Agency of the EU. Herrmann, Andrea M. (2010): “Against the Schumpeterian mainstream: a review of institutional approaches to entrepreneurship.” Socio-Economic Review, Vol. 8 (No. 4): pp. 735-746. Herrmann, Andrea M. (2008): One Political Economy, One Competitive Strategy? Comparing Pharmaceutical Firms in Germany, Italy, and the UK. Oxford: Oxford University Press.